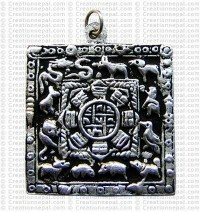 The Tibetan calendar is a combination of Lunar & Solar calendar (the Tibetan year is counted 12 or 13 lunar months and each beginning and ending with a new moon). 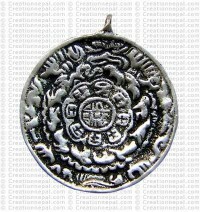 A thirteenth month is added approximately every three years, so that an average Tibetan year is equal to the solar year. 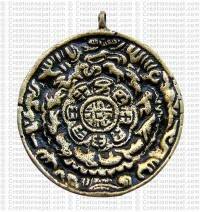 The months have no names, but are referred to by their numbers. 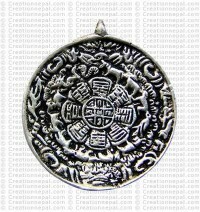 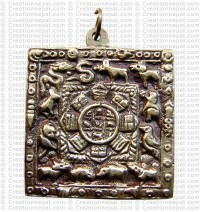 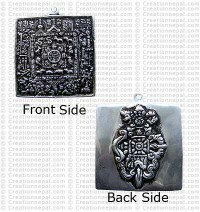 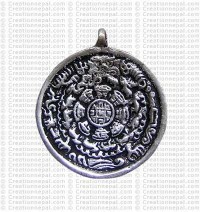 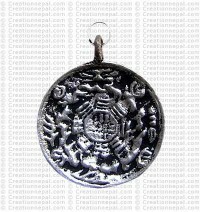 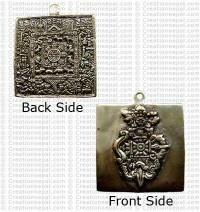 Here we offer Tibetan brass calendars in the form of pendants available in different shapes and sizes.